A perfectly refreshing summer beverage that can be made in minutes with just the right amount of sweetness. Add all items to the blender, and blend until just pureed, but still slightly icy and chunky. Serve with some fresh mint or a lime wedge. Puree can also be poured into frozen pop makers to make ice pops. 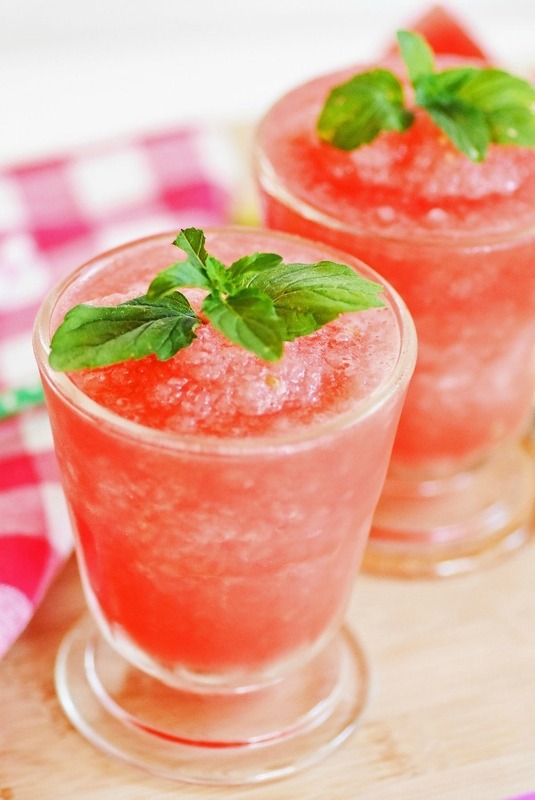 Looking for a refreshing treat that is low in calories, healthy, and contains just the “right” amount of sweetness? 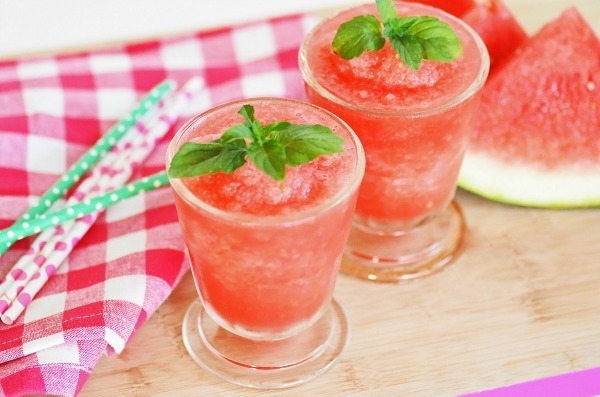 Look no further because this icy watermelon slushie is perfect! Did I mention how easy it is? Seriously, just some chunks of juicy melon, ice, lime juice and that is it if your melon is ripe. If not, a little honey can go a long way too! 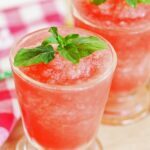 The best part of making watermelon slushies is that you can also add the puree to ice pop makers and make yourself some refreshing pops. This might be an easier way for little ones to enjoy this slush with hopefully less mess! I know my kiddos always find a way to turn a few sips of a drink into a mess! 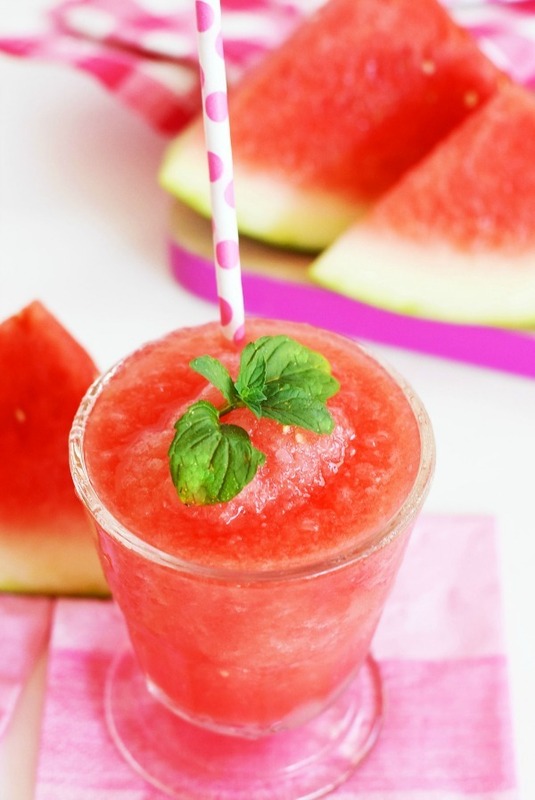 This drink is great for those looking to increase their fiber intake since watermelon does contain a dietary fiber. It is also a great source of lycopene, and helps you stay hydrated even when you don’t feel like drinking plain old water. Plus, since it is the summer you can find it on sale at your local grocer! My family loves watermelon and we never get tired of it. I’ve never tried it in a slushie or beverage before, so I’ll definitely have to give this a go. 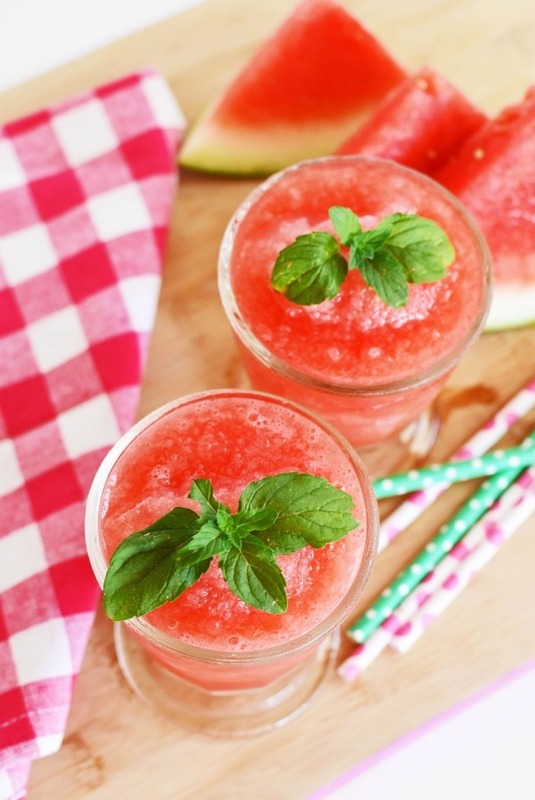 Watermelon smoothies are my favorite part of the summer. I wish they were in season year-round! My kids love watermelon!! I can’t believe I didn’t realize how easy these are to make, they would love these! These look SOO fun! I can’t wait to try them out. What a perfect summer drink! It’s so crazy hot that we are desperate for things to cool us down. These are perfect for dealing with the heat, but they also look awesome! This is a perfect summer chiller!! I can’t wait to make it!! 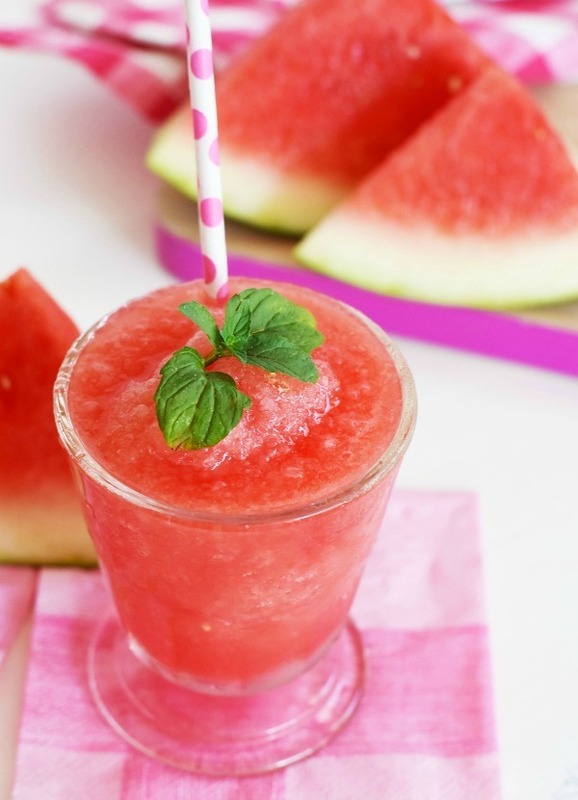 Watermelon agua frescas and slushies are my FAVORITES! Really… watermelon anything. I had to pin this for later!